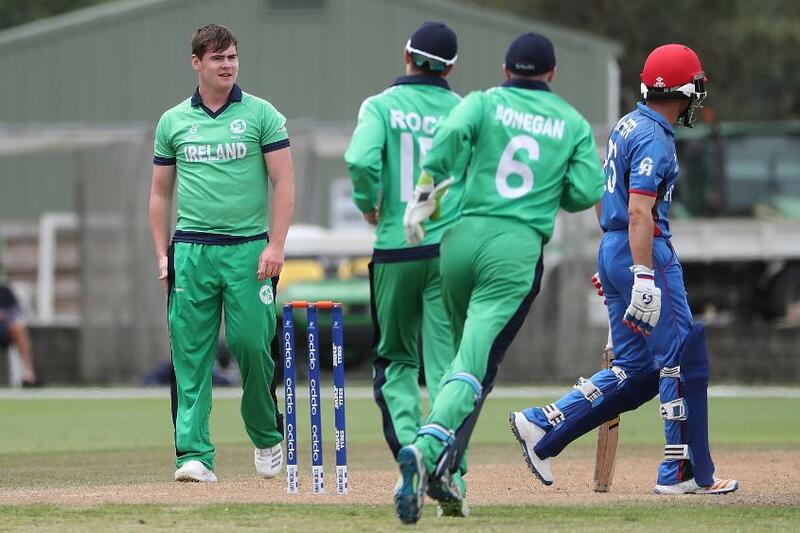 Following his standout performance in Ireland's dramatic victory over Afghanistan at the ICC U19 CWC, Josh Little talks about his ambitions in the game, having faith in his own convictions and choosing cricket over hockey. There are a couple of instances during an interaction with Ireland all-rounder Josh Little when he comes across as a man of more self-awareness and honesty than your typical 18-year-old. He is expansive about his decisions, revealing of the reasoning behind them, and maintains a steely confidence throughout that is hard not to be impressed by. Basically, what you see is what you get. The conversation takes place shortly after Ireland’s last-gasp win over Afghanistan in their final Group D game of the 2018 ICC U19 CWC. It’s hard not to present your best self after such a morale-boosting victory. And Little played a big part in it. After hitting a 20-ball 27 that helped boost Ireland’s total to 225/8, Little returned figures of 2/40 in his 10 overs, bowling the crucial penultimate over in which he gave away just three runs and dismissed Mujeeb Zadran. Ireland eventually won by four runs. When asked to talk through that over, Little’s response is a bit surprising. There is no grand reveal about the tactics employed or the mind-games played. Instead, he has the most charming tale about how he shooed away his captain, Harry Tector. That’s not to say Little doesn’t love the game in its own right. But it just goes to show that he’s in tune with reality. The money is important, and that fact that he is willing to speak about it is commendable. Little became the second-youngest player to appear in a Twenty20 International when he made his senior Ireland debut against Hong Kong in September 2016. It was one to forget as he scored a duck and went wicket-less in a 40-run loss, although his economy rate of 6.25 was better than some of his more experienced teammates. Another T20I appearance would follow four months later in January 2017, but just as he was receiving regular call-ups, he withdrew from the squad. His exams were around the corner. But Little doesn’t seem to regret a decision he made of his own volition. There is conviction that he did the right thing, even though he hasn’t played a full international since. So far in the 2018 ICC U19 CWC, Little has shown more-than-adequate skill in both departments. With a bit of Irish luck, this boy could go a long way.